On Thursday, May 26th, over 150 people gathered at the White House South Court Auditorium for The White House Council on Women and Girls’ Women and Entrepreneurship Event. At its core, Dream, Girl’s mission is to make women’s most audacious dreams attainable. 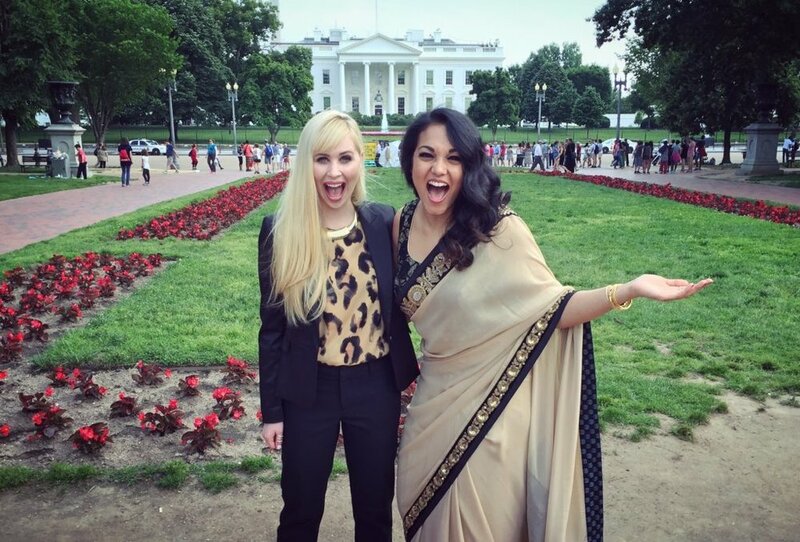 And in May we brought to life one of our own wildest dreams: We screened the film at the White House. It was an incredible evening of celebrating women in entrepreneurship and identifying what needs to be done on policy and cultural levels to fully empower the female economy. Screening the film in such a culturally and politically significant capacity symbolized a deep recognition of not only the work our team is doing, but of the power of the global female entrepreneurs’ movement. 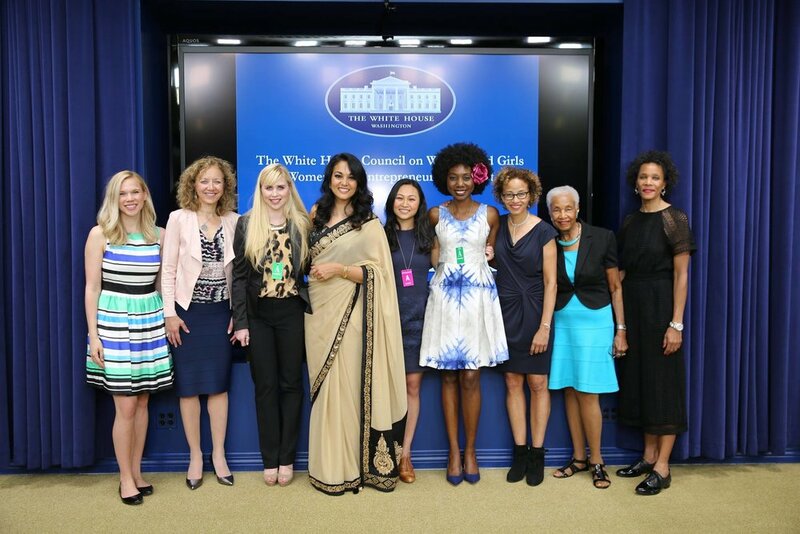 The Dream, Girl team is incredibly proud to have the White House Council on Women and Girls in support of our work. The Council hosted the event as part of the lead-up to the United State of Women Summit on June 14. Deputy Director of the White House Council on Women and Girls Jordan Brooks gave opening remarks, followed by Chair of the National Women’s Business Council Carla Harris. After that, we watched the film on the big screen. tears and a standing ovation. We were so pleased to see that everyone in the room fell in love with the entrepreneurs in the film, just as we did two years ago when we started on this journey. After the screening, Diana Doukas, Director of the White House Business Council, moderated a panel discussion, which included Frederique Irwin, founder and CEO of HerCorner, Rahama Wright, founder and CEO of Shea Yeleen Health and Beauty, and Dream, Girl co-founders Erin Bagwell and Komal Minhas. The discussion touched on topics ranging from the importance of self-care and balance when launching a business to the tangible next steps we can all take to propel this movement forward. It was an immensely constructive discussion that illustrated once again the power of women sharing their stories in vulnerable ways, of women supporting women, and of what happens when female entrepreneurs are truly visible. To be able to share this film with the world on such an impactful scale was a dream come true, and we thank each and every one of our champions who’s supported us to this point.